Bilt-Rite / Mastex Industries is a leader in Orthopedic, Sports Medicine, Bracing Products, Occupational & Ergonomic Supports as well as a complete line of wheelchair cushions and backs.. 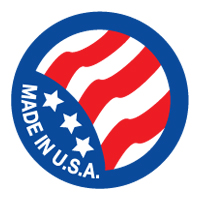 Most of our products are Designed and Made in the USA so we can control costs as well as Quality. equipment, thermoforming and compression forming presses/molds. Unit Size: 17" x 5"
Unit Size: 3.5" x 19"
Corrects improper lumbar curve and assists in establishing correct posture while sitting. Orthopedically designed to distribute weight evenly and provide natural support to the lower lumbar area. Cradle Sleep Pillow Deluxe, 20" x 26"
Unit Size: 20" x 26"
Folds evenly over end of finger to provide stabilization and protection. Unit Size: 24" x 60"
Made of durable vinyl that's flexible and waterproof. Size - 2" x 1"
Specially designed Thixotropic Gel Pack with soft gray washable fabric cover attaches anywhere on the Lumbar Cushion with velcro strips. Puts soothing Hot/Cold pack exactly where you want it. Unit Size: King 14" x 27"
Unit Size: Medium 14" x 14"
Unit Size: 11" x 15"
Unit Size: 7.5" x 11"